WOW asked the question, what does the horse want from a tree? 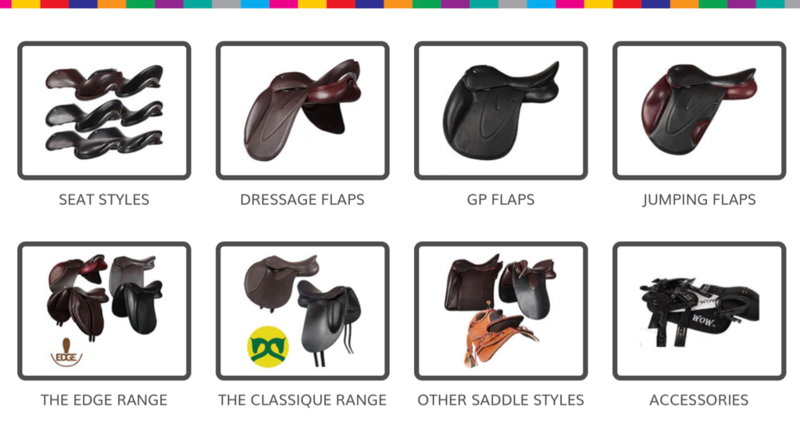 WOW Saddles are already proving that they are capable of performing to the highest levels of the sport in Dressage, Jumping, Eventing, Endurance and Racing. The technology and concepts used to make this saddle are not to be found in any other brand. Yes, it is a different looking saddle. That which makes it look so strange at first are the features that make it work so brilliantly. No seams in the seat add to rider comfort, the hollows allow the top of the thigh to sit comfortably and add to the narrowness of the twist while the stitching lines in the padded flap offer a stability to the leg with an unrivalled softness and flexibility. The mono-flaps offer a close contact for the rider’s leg. ​Korrector is the revolutionary saddle pad which using air and foam technology, to be used with other traditionally treed saddles. ​It can be adjusted by the rider to give full day to day control of the fit of their saddle on one or more horses. Once adjusted Korrector does not need to be altered unless the horse changes shape or you wish to use it with another saddle or on a different horse – adjustments take a couple of minutes and are done with the rider mounted. Korrector has a unique Gullet Locking Plate (GLP), which prevents the saddle pad from being pulled taut across the horse’s spine.